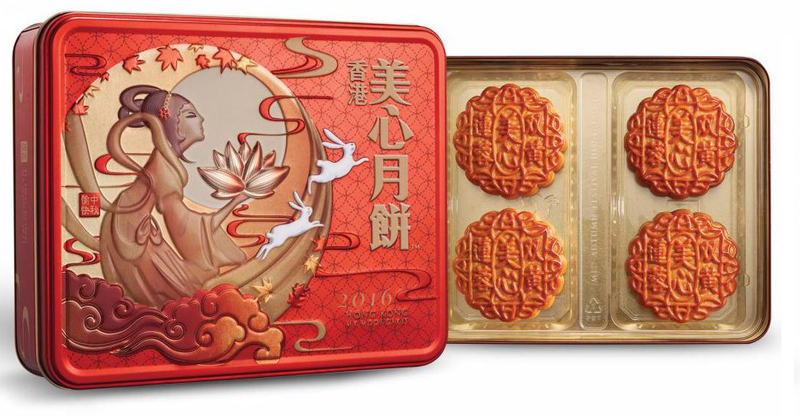 Singapore Mooncakes 2016: Have you bought yours yet? As you know, the mooncake season is here again! Yes, Mid-Autumn's Festival is here on 15 September 2016! A day where you eat mooncakes with your family and come together to view the moon, where it's said that the moon is the brightest and roundest on this day (symbolising family reunion). Have you bought your mooncakes yet? Last chance to snag some awesome mooncakes! Here are some suggestions. 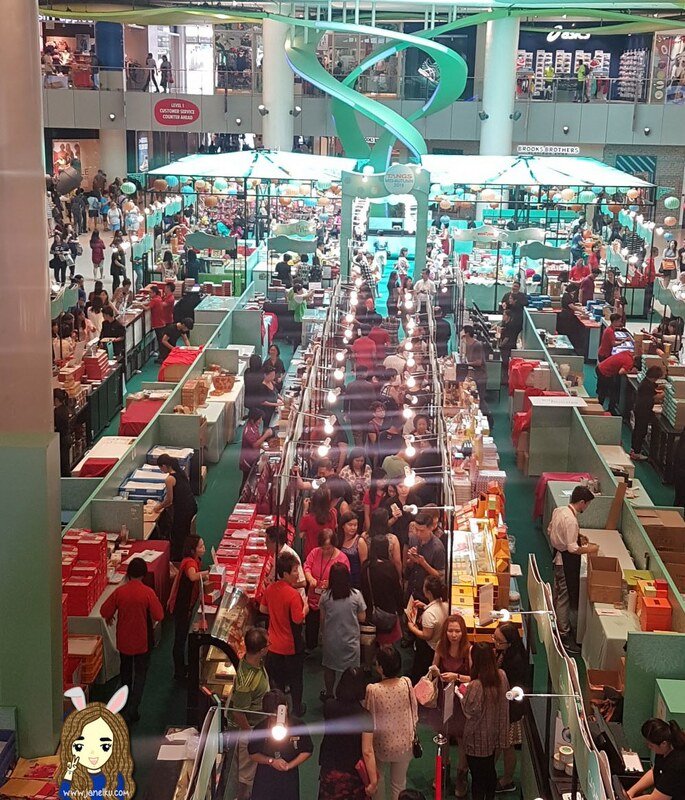 Mooncake Roadshow at Vivocity, where I got to taste many mooncake varieties! Oh, this teochew-style mooncake is damn good. I say, damn good! Even at the roadshow, it was all out within the morning. Made freshly everyday, this one is one of the best mooncakes I've tasted out in the market. If you love Orh ni (yam paste), this will not disappoint you. Get the ones with egg yolk in it as the savory taste of the yolk mixed with Orh Ni is extremely delectable and selling very very quickly. Another one I loved from Peony Jade. The molten matcha mooncake tastes so uniquely delicious that I can't stop but finish it all by myself. The keyword here is molten. Yes, molten! Flows like lava once you cut into it. Put it into your mouth and the matcha flavour explodes. Of course, don't immediately eat this when it's frozen. The idea here is to have it molten, please. This year, I went and got Baker's Well's mixed nuts tradtional mooncakes (five-nuts mooncake / Wu Ren) for my older relatives. This was one of the best ones I've tried that isn't too sweet, good for those who don't like sugary mooncakes. I usually do not like eating mixed nuts mooncakes, but this one changed my view on them. The mooncake was filling and delicious. To enjoy this best, wait 2-3 days to eat them as the oil from the nuts emerge, making it even more delectable to enjoy then. I know, I know. My reaction to hearing the name raised both eyebrows as I wonder how it would taste. The first taste to it hadn't brought up any spicy alarms yet, but as you swallow, the aftertaste will start to spice up near your throat. This one is memorable and I enjoyed it. One of the unique creation mooncakes that I recommend you try this year, as a true blue Singaporean. I mean, come on. Chilli leh! This is the first year since the brand creator's son, Daniel Tay, took over the brand after remodeling the business. I tried various mooncakes from this brand, but I must say that this particular mooncake flavour did it for me. The red bean paste had just a slight hint of sweetness, and the winning factor for me has to be the addition of the orange peel (a.k.a 陈皮), which gave it such a distinct, unique edge that I enjoyed. Coupled with the salty hint from the yolk and a light crunch from the pine nuts, the entire thing was well put together and overall, it wasn't very sweet, yet had the best robust mouthfeel out of all the other mooncakes I tried. One more mooncake flavour worth mentioning from Old Seng Choong is their Wu Ren (Five-Nuts Mooncake). 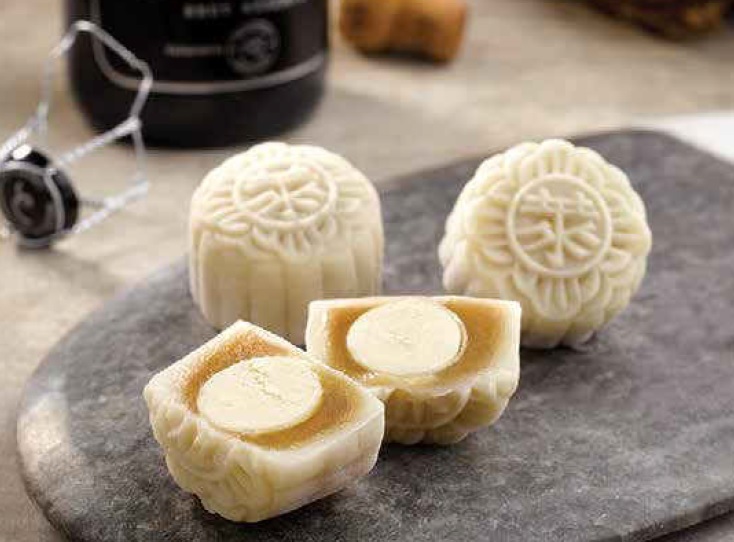 The difference in their mooncake is that there is an addition of the Chinese Jinhua Ham (a.k.a the 金華火腿). I felt that this addition gave it a rise in terms of sweetness, though Jinhua ham is slightly salty. The contradiction! But I really enjoyed this delectable mooncake overall. Now that everyone is so conscious about their health and the calories that a mooncake contains, this one is best in the market that offers sugar-free and low sugar mooncake options. This is diabetic-friendly and this year's snowskin edition consists of 4 flavours: Pure white lotus, Rose truffle yolk, Green Tea truffle yolk and Intense Dark truffle yolk. Their mooncakes combines a sugarless snowskin recipe with a chocolate truffle yolk center. The lotus paste is also sugar-free. I have tried this for myself and I loved this too as it doesn't cut down on the taste factor. Health-conscious folks, get this! One of the new snowskin items they launched this year. Well, I have to be honest and share that I have mixed reviews from my friends on this one. But for me, this worked well so I would like to share it with you as well. You'd probably have to like cranberry to appreciate this. I think this sweet, dessert-like flavour really got through to me and I do love this new flavour of theirs! The colour is so pretty inside as well. One of the top mooncakes they repeat every year, because it's such a crowd favourite. This was so light and delectable and so addictive. One of my friends swears by their mooncakes. So far, this is one of my favourite snowskin ones. Hear, hear, durian lovers! This one is one of my top Mao Shan Wang picks, which I bought both last year and this year as well. I love the premium look of this, what with their black snowskin wrapping and luxe gold flakes dusted on the top. If you're worried that people might look at you as you carry this home on the public transport, your worries are unfounded. They wrapped each mooncake (4 in a box) individually with thick styrofoam packaging, retaining as much cool air as possible to ensure you still can enjoy it fresh when you reach home. The mao shan wang in this mooncake is so power-packed that you'll finish all four by yourself in no time. One of the top sellers of mooncakes in Hongkong for many years now. If you frequent HongKong, you would have seen the popular bakery on the streets at least once. Known as Maxim's in Hong Kong, and Mei Xin in Singapore. I love their baked mooncakes, traditional is best! Smoothly blended lotus paste mixed with the saltiness of the egg yolks... so so good. If you're a fan of Star Wars, they also launched a special Star Wars Mooncake for fans! Also, I hear their molten (custard lava) mooncakes are awesome too, unfortunately I am unable to share because I did not get a chance to try (all sold out!). So if you already tried it, please let me know if it's good!